A 3-year old toddler has disabled his dad's iPad for 25 million minutes after repeatedly trying to unlock the tablet. The toddler's dad, Evan Osnos, a staff writer at The New Yorker and a fellow at the Brookings Institution took onto Twitter to let the world know of his predicament. "Uh, this looks fake but, alas, it's our iPad today after 3-year-old tried (repeatedly) to unlock. Ideas?" 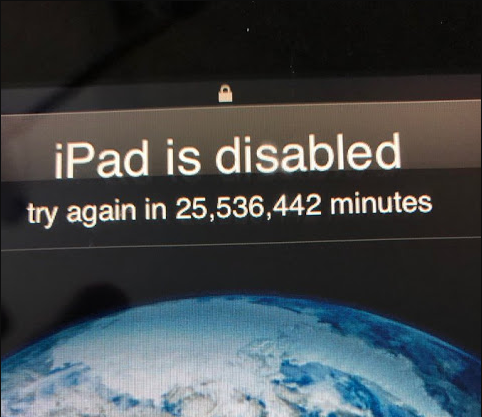 Osnos said in a tweet that had a photo of the iPad's locked screen which indicated that the device was disabled with this message : "Try again in 25,536,442 minutes." If you do the maths, Osnos iPad should be available to him in 2067. That's more than 48 years! By then, even the toddler will be in his 50s. As it is on all social media platform, the comments section is always interesting than the rel post. Yeah, Osnos's Twitter followers had a lot to offer. One person suggested Osnos should 'reboot' the 3-year-old while another suggested he "put it in a bag of rice." Another commenter was like, "Wow, you are liberated. 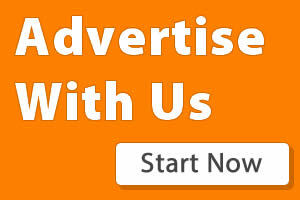 Think what you can do with your free time." Other comments were meaningful though: "Just connect it to the computer you originally synced it to iTunes on, let it sync and it'll be fine." The iPad lockout is a security feature on Apple devices that comes in when a user types in repeatedly an incorrect password. The more the user continues to type the wrong password, the longer the lockout time increases. Osnos later dropped an update that he was able to get the iPad into DFU (Device Firmware Update) mode and was in the process of restoring the tablet. "Thanks to those shared advice!" he said.